Oh how I've been loving my Soap & Glory products recently! I've loved their bath and body care for so long but was actually quite sceptical when I first saw the brand was venturing into the world of cosmetics. I've seen brands often try to branch out into different markets and end up creating products that can miss the mark, not delivering in terms of quality against their main competitors. However, Soap & Glory seem to be an exception. I picked up their 'It's About Prime' eyeshadow base a few weeks back. I mostly use cream shadows as a base, but fancied something with a wand applicator that wouldn't be too messy to blend with my finger. 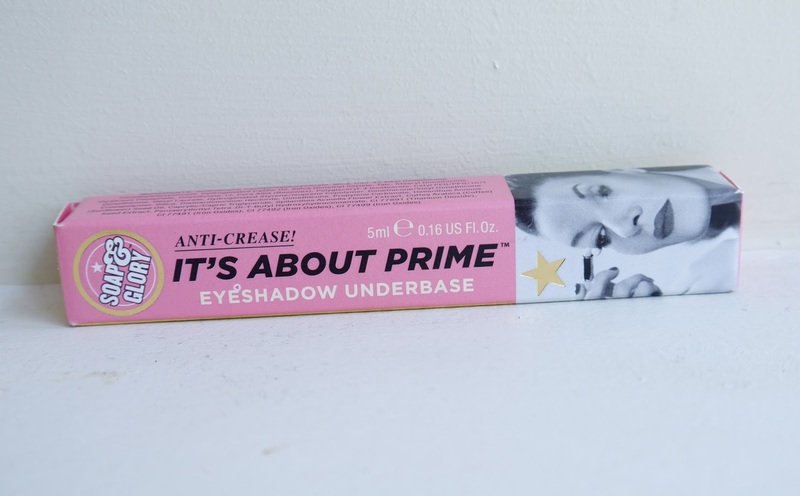 As someone who does not have particularly oily eyelids, most priming products work well on me and the Soap & Glory primer delivered on staying power for me. 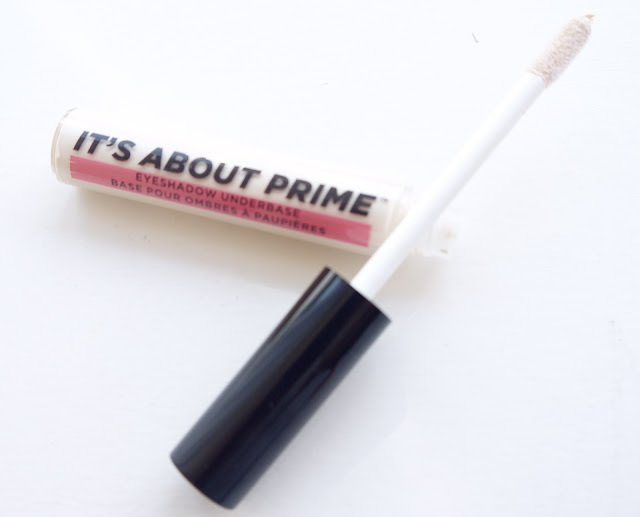 In comparison to other eyeshadow primers I have used, the texture of the Soap & Glory primer is very light. So it is perfect if you want a product that is not heavy, which may be particularly useful in summer when it is quite hot. I keep saying it, but I really am excited to see what the brand's next moves are in terms of their cosmetics. They bring the perfect combination of quality and 'fun' to their products.